This week’s Friday morning breakfast was from Takahachi Bakery in Tribeca. All the croissants were individually wrapped and all incredibly delicate. 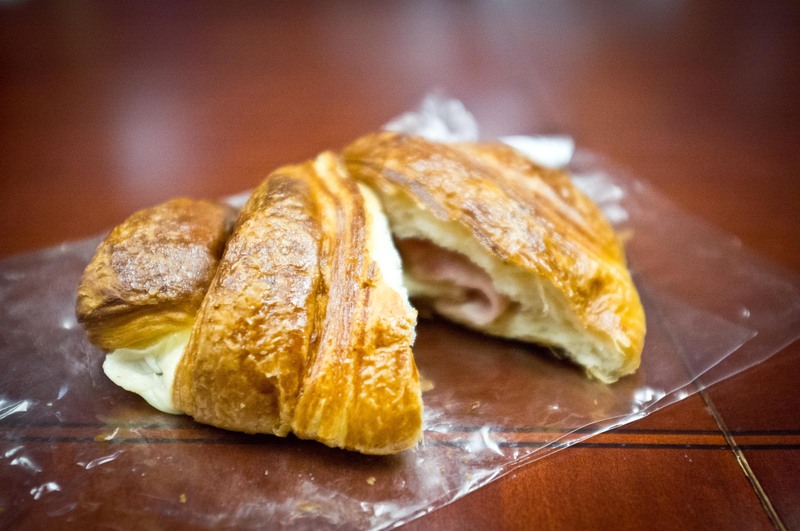 The ham and cheese croissant had a thin layer of Swiss with one single sheet of ham. Unlike it’s American counterpart, these Japanese pastries are so much more dainty and light. They were so light in fact that I couldn’t help but dig into the raisin croissant as well.